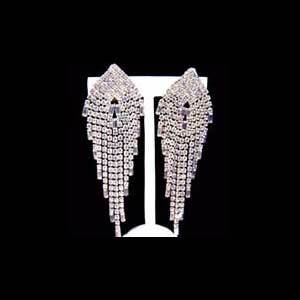 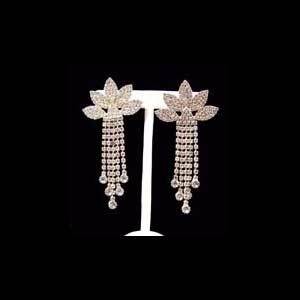 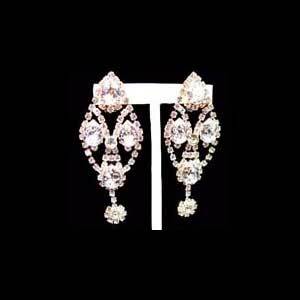 The Cascade Earrings. 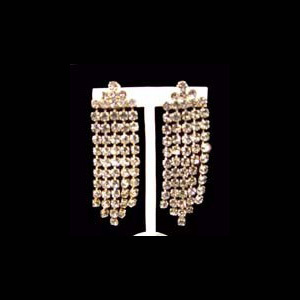 These earrings are made out of diamante chain set with 6mm (SS30) crystal stones in a drop which graduates from the centre. 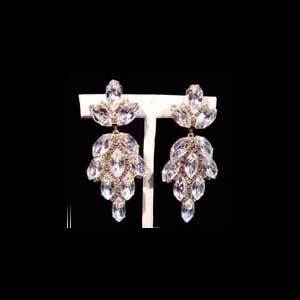 Drop of earring is 10cm. 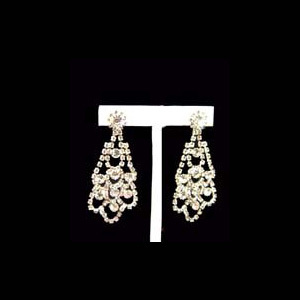 Width of earring is 3.5cm. 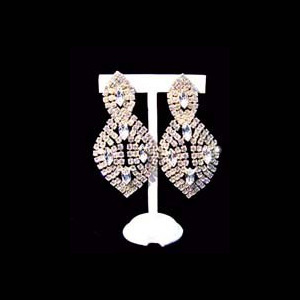 The earring has a clip finding for attaching it onto the ear.